We are more than a delivery company, and whatever your needs are in the transportation, courier, or delivery fields, we have you covered. 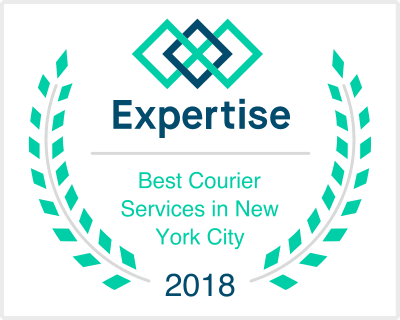 Our couriers are screened, trained, and professional—safe and courteous. They are the backbone of our company and are more than drivers. Direct Deliveries: For quick, direct deliveries, we can pick up your package when it’s ready and deliver it promptly, with no stops on the way. Postal Mail Service: We can deliver your mail from the post office to your office so that it is waiting for you when your office opens, and then we can pick up your mail and deliver it to the post office at the end of the day. Inter-Office Mail Services: We can deliver your envelopes, documents, packages, and supplies between different office locations. We also offer flexible scheduling to work when you need us. Document Delivery: Our personalized level of service ensures that all of your documents are picked up, transported, and delivered to their intended recipient according to your schedule and within your budget. This includes NY City's five boroughs, Nassau, Suffolk, Westchester, and Rockland Counties. Law Firms/Attorney Services: We offer delivery services to businesses, as well as individuals. We deliver documents and filings to attorneys, courthouses, judges, agencies, and individuals. Airport Pick-ups and Deliveries: We provide services at the JFK, LaGuardia, and MacArthur airports. If your package is going to/coming from baggage or an individual, our TSA-approved courier experts will make sure they get it. On-delivery Services: You get to set the terms for delivering packages. We can deliver COD (check or cash), signature required, or return package terms. Beverage Deliveries: Whether it is for your restaurant or retail location, we can pick up and deliver all types of beverages anywhere in the city. Hospital/Emergency Courier Services: Medical deliveries, routine or emergency, are handled with the same professionalism and speed as regular deliveries. Whether your need is across town or 150 miles away, you can count on us to get it there. Personal Belongings: Whether these are purses, bags or luggage, or any other personal item, we can pick them up and deliver them to the specific recipient on your schedule. Work-site Deliveries: Supplies, light materials, tools, or goods can be delivered straight to the work site, thereby minimizing waste and creating a more efficient system to keep your customers satisfied. Bank Deposits: These can be delivered from your location to a bank. All of our drivers are trained for deliveries to banks and other financial institutions (cash excluded). Party Planners: Delivering flowers, displays, or catering supplies creates an aura of ease around your customer’s event. Last-minute deliveries can mean the difference between success and chaos. You set our schedule, no matter the time, and we will meet it. Pharmaceutical Delivery: Whether it is a rush order or a scheduled delivery, we have the skills and equipment to deliver your medications all over the city. Florists: We are your flower delivery specialists. No matter what time or what event, we'll get them there fast, fresh and on time. Last-Minute Changes: When you need to change anything about your order—destination, consignee, or any aspect of the delivery—we can make those changes and make sure your order is delivered where and how you want every time. Personalized Services: We don’t just deliver packages. We are more than willing to verify serial numbers, deliver to a specific person, assemble or disassemble, and check all aspects of your order for your peace of mind—we do it all. Van Service: If you need an order delivered within the hour or have the time to take a more economical approach, our vans can handle the job. Local Route Service: Daily, weekly, or monthly routes are our bread and butter. You determine your needs, and we make sure our vans are there. If you are a local customer, we'll work with your budget no matter how small your volume is (small packages only and not available in all areas). Scheduled Pickups: Whether your business needs daily or weekly scheduled pickups, we can save you money by making you part of our routes. Computer, Parts, and Tool Deliveries: In the field or in the lab, we can get your equipment from where it is to where it needs to be. We deliver to your technicians and keep them working. Art Deliveries: Fine art, graphics, paintings, or pictures are handled with kid gloves to ensure there is no damage to your treasures during delivery. Same-Day Services: Your schedule is our schedule. We base our deadline on yours and our rates on your needs. The more flexible you can be, the less expensive it is. Call Now 516-209-2768 or click HERE to request a rate sheet or set up an account. *Currently, our daily mail run service is only available for Queens, Nassau and western parts of Suffolk counties. It is not yet available in all area we serve. Please note that all same-day deliveries are subject to availability and terms. Some deliveries may be delayed or rescheduled due to several factors like: excessive traffic, lack of availability, inclement weather conditions, official activities and other unforeseen delays. Should any of these issues arise, you will be promptly notified by the assigned driver or dispatcher. Thank you for your business!